Thank you for your interest in applying to Gross Schechter Day School. We certainly hope that your family will find a home at Schechter and the admissions office is here to help. Please allow us to answer your questions and help guide you through the application process. We can’t wait to get to know you and your child(ren). 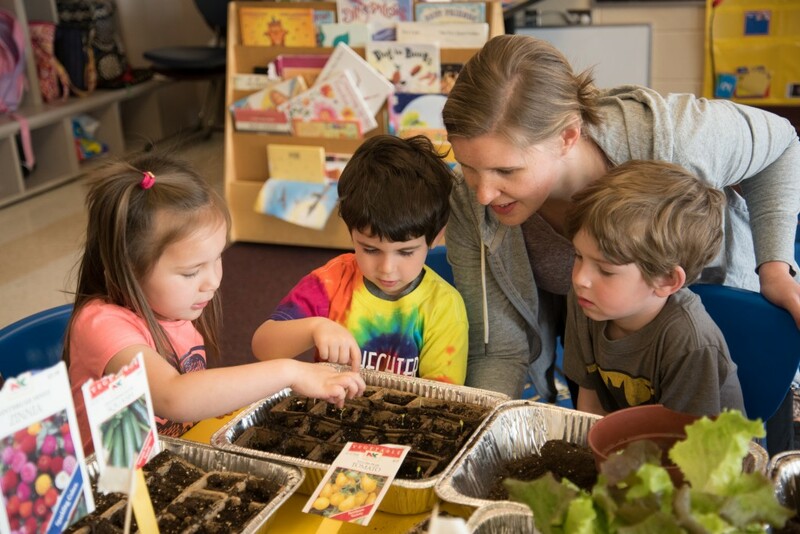 Gross Schechter Day School admits students of any race, national or ethnic origin to all the rights, privileges, programs and activities generally accorded or made available to students at the school. The school does not discriminate on the basis or race, nationality or ethnic origin in administration of its educational policies, admission policies, tuition assistance policies or other school administered programs. 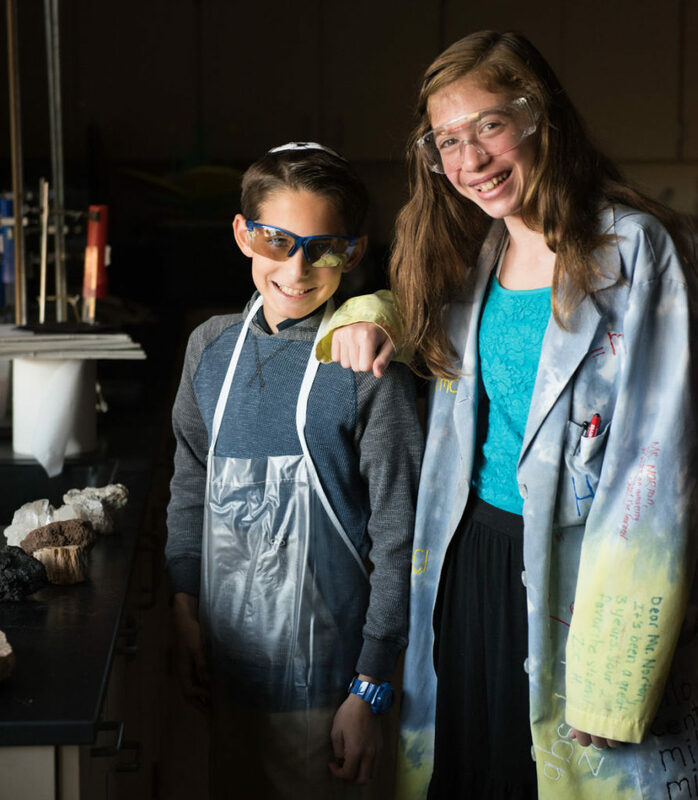 Contact the admissions office at 216-763-1400 x 417 or admissions@grossschechter.org to schedule a parent tour. Complete the online application (or click on the photo) and submit with the non-refundable application fee of $75. You may also download the Infant Care Application if you prefer. Your application will secure your place in our wait pool. Gross Schechter staff meets regularly to review spaces as they become available and match open spaces with families in the wait pools whose needs most closely match what we have. An admissions officer will contact you with the status of your application, and if and when a match is made for your family, with the spot we have available. Upon being offered a spot, the enrollment contract will be sent to you electronically. To reserve your spot, you must complete and submit the enrollment agreement with your non-refundable deposit of $350. The deposit will be applied towards your last month of enrollment. All state licensing paperwork must be submitted at least one week prior to the start date. Complete the online application (or click on the photo) and submit with the non-refundable application fee of $75. You may also download the application if you prefer: Part 1, Part 2, Part 3. An admissions officer will contact you with the status of your application. Upon being admitted, the enrollment agreement will be sent by mail. To reserve your spot, you must complete and submit the enrollment agreement with your non-refundable deposit of $550. The deposit will be applied towards your tuition balance. 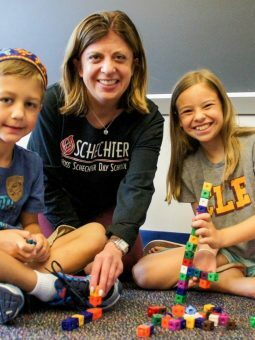 Contact the Admissions Office at 216-763-1400 x 417 or admissions@grossschechter.org to schedule a parent tour or attend an admissions event. Complete the online application (or click on the photo) and submit with the non-refundable application fee of $75. You may also download the application if you prefer: Part 1, Part 2, Part 3. Applications received by February 1, 2018 will receive priority consideration. Request that your child’s current preschool fill out and send the Preschool teacher recommendation form. Request that your child’s current preschool send a copy of all assessments and evaluations. Please be sure to fill in the applicant’s name and sign the release. Contact the Admission Office to schedule a Kindergarten Screening. Screenings for those who meet the priority deadline of February 1 will be screened on February 13 & 14, 2018. If applicable, complete the Tuition Assistance application. Applications received by February 1, 2018 will receive priority consideration. The Tuition Assistance program at Gross Schechter is available to families with documented financial need. Gross Schechter uses the services of FACTS to process Tuition Assistance applications. Financial need is not a factor in determining admission. You will be notified of your Tuition Assistance award after your child is accepted to Gross Schechter. Schedule and complete a Shadow Day. Request that your child’s current school fill out the Teacher and Administrator Recommendation Forms and send a copy of all report cards, standardized tests and academic records. Please be sure to fill in the applicant’s name and sign each form. Download all forms here. If applicable, complete the Tuition Assistance application. Applications received by February 1, 2018 will be eligible in the first round. The Tuition Assistance program at Gross Schechter is available to families with documented financial need. Gross Schechter uses the services of FACTS to process Tuition Assistance applications. Financial need is not a factor in determining admission. You will be notified of your Tuition Assistance award after your child is accepted to Gross Schechter.